Dr. Sochnikov is a recipient of Montana Instruments Cold Science Exploration Awards Lab Startup Grant. Dr. Ilya Sochnikov has just started new scanning SQUID microscopy lab at the University of Connecticut. Ilya Sochnikov’s research focuses on nanoscale quantum phenomena in new materials. An emergence of a new phenomenon or a phase transition occurs when interactions in the materials are tuned via chemical, mechanical, or electromagnetic knobs. The material systems of an immediate interest include topological insulators, superconductors, and frustrated magnets. 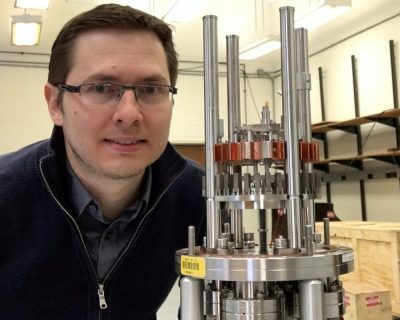 His main research tool will be a state of the art microscope for imaging of tiny magnetic fields at ultra-low temperatures and short timescales. One of the research motivations is to impact our understanding of materials properties that could provide new options for energy efficient technologies.